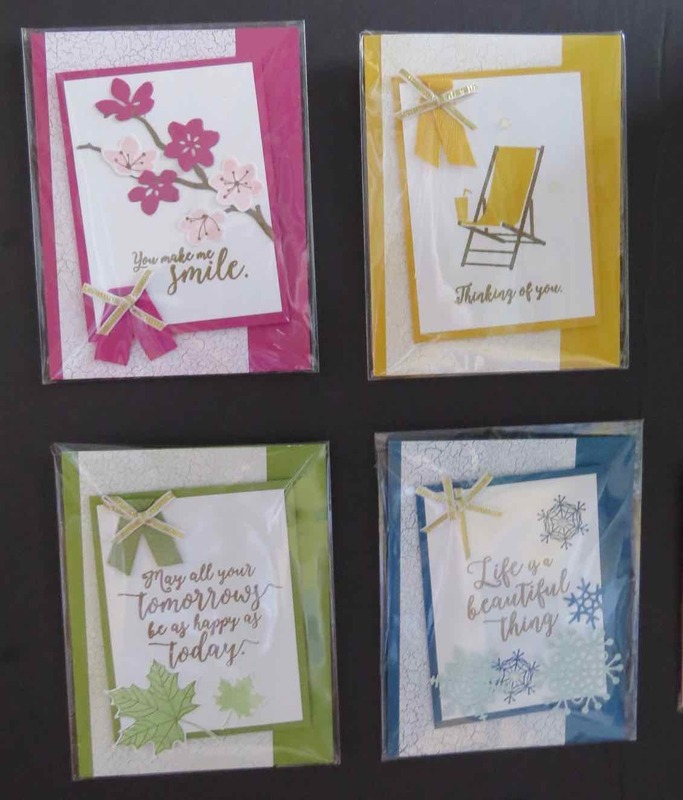 Karina's Kreations: Stampin'Up Colorful Seasons Class! I love the Stampin'Up Color Theory Product Suite!!! I'm running a class where you will make these four cards on June 26. 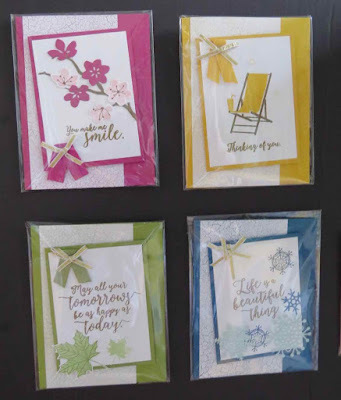 The Colorful Seasons stamp set and Seasonal Layers Thinlits dies can be purchased in a bundle which will save you 10% #145348. I also used the Color Theory Paper Stack #144193 and 3/8" Mini Chevron Ribbon in Old Olive #144196 and Crushed Curry #144197 on my card.